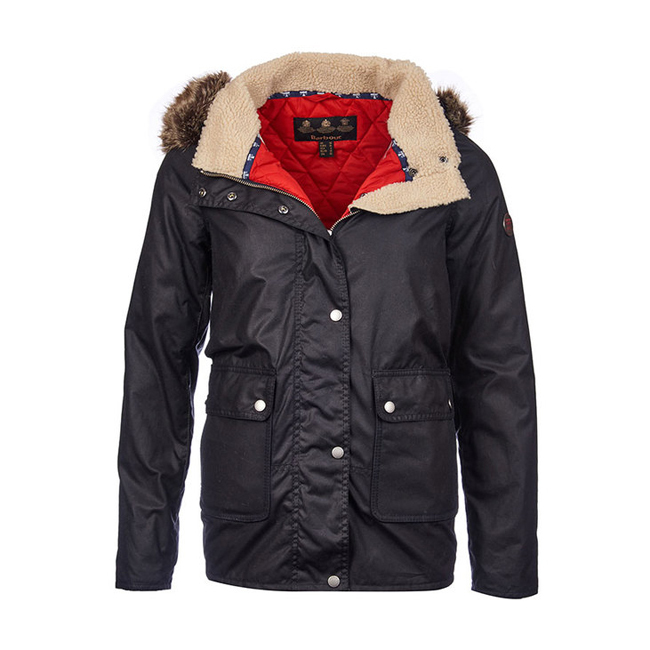 This oversized women's wax jacket is trimmed in cosy Sherpa fleece and features a parka-style detachable hood complete with faux fur trim. Barbour's signature patch pockets fasten with branded studs. Very happy with the Fleece!